In January, I try to be at least a little bit thrifty. It’s not actually that I try that hard, it’s more of a natural urge to hold onto my cash after Christmas. 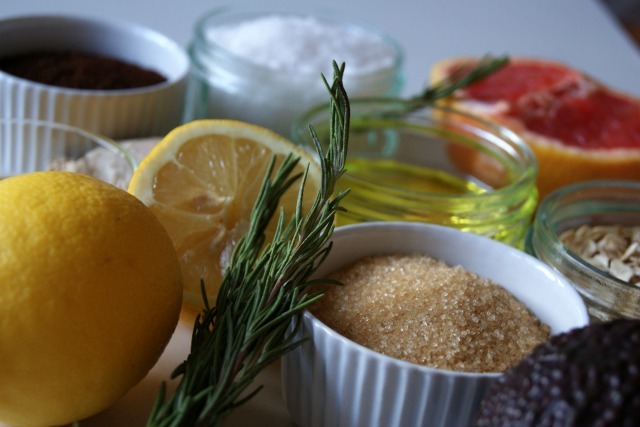 This meant that despite being in the aisle of Boots, surrounded by all that lovely, pink Soap and Gloriness and having already committed to buying some more of my beloved Breakfast Scrub, I decided I could make my own homemade body scrub for free. This urge is a once-a-year only event so I went with it. 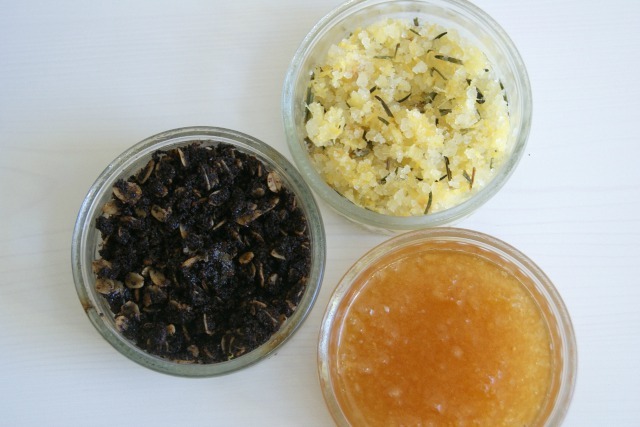 I quite enjoy knowing that I can whip up a body scrub whenever I need to with whatever is in my kitchen cupboards. I’ve listed the ingredients below, but I don’t have exact recipes as I generally combine the ingredients until they are at a consistency that suits me. Don’t worry Breakfast Scrub, I’m not turning my back on you, it’s just nice to have a back up plan. This scrub gave me conflicting feelings. Looks = 0 points. Effectiveness: 10 points. It’s made up of coffee grounds, porridge oats, honey, brown sugar and olive oil. 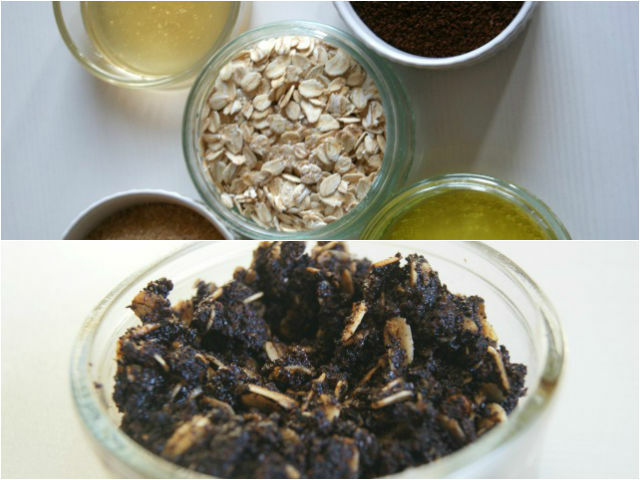 What I loved about it is that whilst the porridge oats and the brown sugar make up the standard body scrub texture, the coffee grounds really stick to your skin. They’re also relatively gentle, so you can scrub quite thoroughly without any soreness or redness. This would be particularly effective as a pre-tan exfoliator, or if you had a few layers of tan already built up which you wanted to buff off evenly. You turn into a walking, talking Americano when you use this, so you do need to wash it off thoroughly with a body wash unless you want to smell like Starbucks all day. But if that’s your thing, you go for it. Now I’m no scientist so I’m making no promises, but rumour has it that the caffeine in the coffee is helpful for clearing cellulite and honey is also well known for it’s healing properties. Think of that what you will. One word of caution, this is called a breakfast scrub for a reason. It’s very messy and doesn’t dissolve so unless you want all that porridge and coffee blocking up your drains, you might want to make sure you have a drain cover stopping it washing away. Best for: tough dry patches. Knees, heels and elbows, I’m looking at you. This scrub made my shower smell like a spa when I was using it. It’s made up of sea salt, lemon rind (plus a little juice), crushed/finely chopped ginger and rosemary with olive oil to bind it together. I’m not a huge fan of very coarse homemade salt scrubs for use all over my body because I think they are too tough on my skin – leaving the shower looking like a redcurrant isn’t my idea of fun. You could use more olive oil than I used here to create more of an all over body scrub. But, what I think this coarse scrub is really effective for is elbows, heels and knees. 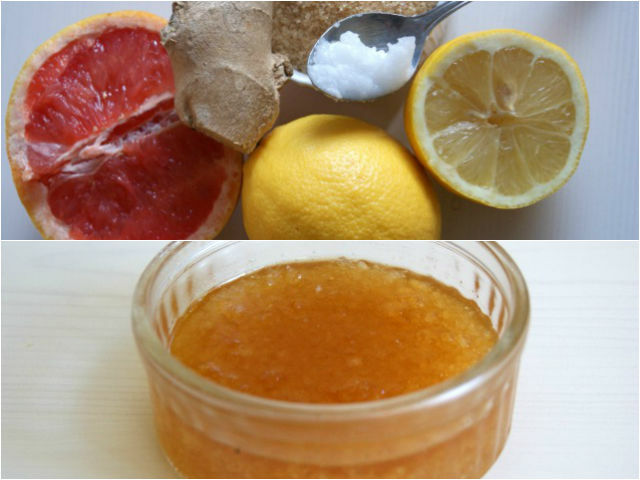 I’ve always liked the old trick of scrubbing your elbows and knees with half a lemon rind sprinkled with baking soda and this scrub works in a similar way. 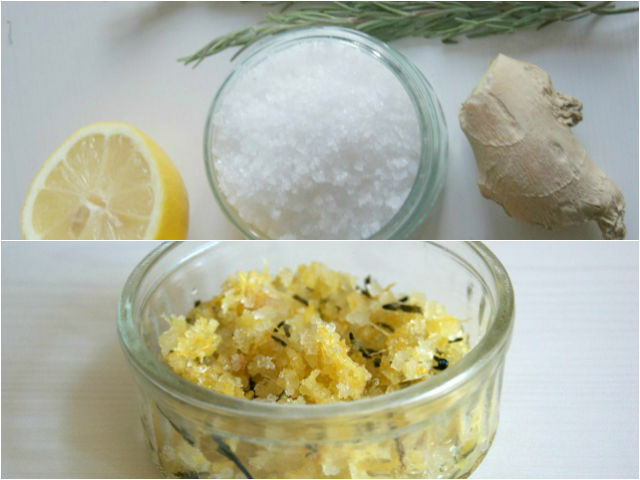 The lemon rind releases it’s oils when you use it and the sea salt does a good job of buffing away dead skin cells on the areas of the body that are tough enough to take that kind of scrubbing. It’s winter, my knees haven’t seen sunlight in a very long time and they were in desperate need of this little scrub.